It's true--French Women walk everywhere. They walk for the exercise and fresh air, but also to be seen. Walking through the promenade is theatrical and fun and a great reason to get dressed up and enjoy the world around us. 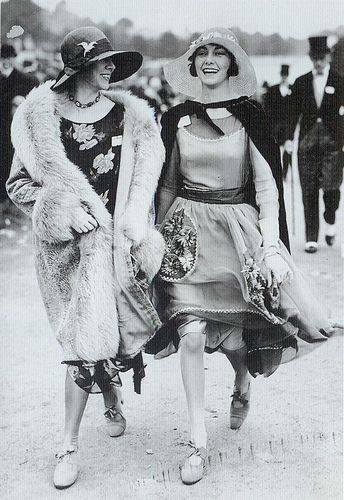 Walking to "make the scene" is a grand tradition, as you can see from this 1928 photograph. So much joie de vivre! Have you tried getting dressed up and walking through your town park or Main Street? Have you found your joie de vivre (and perhaps a friend or two) by walking? Photo from Cult of Aphrodite Vintage.